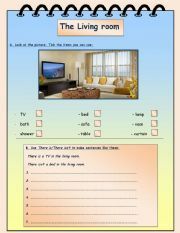 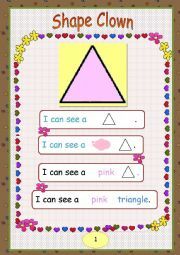 This worksheet focuses on the living room furniture and the use of There is/There isn´t. 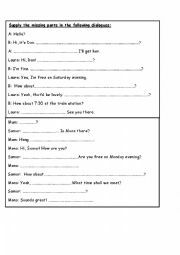 These are dialogue gap filling exercises for pre intermediate levels. 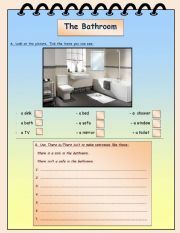 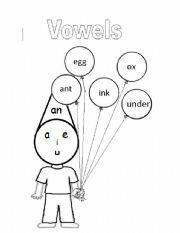 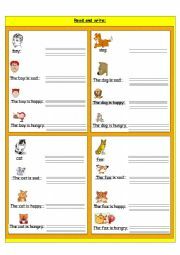 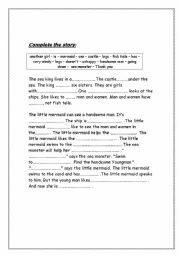 This worksheet focuses on bathroom vocabulary and the use of There is/There isn´t. 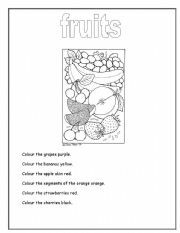 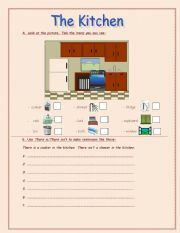 This worksheet focuses on kitchen furniture vocabulary and the use of There is/There isn´t.